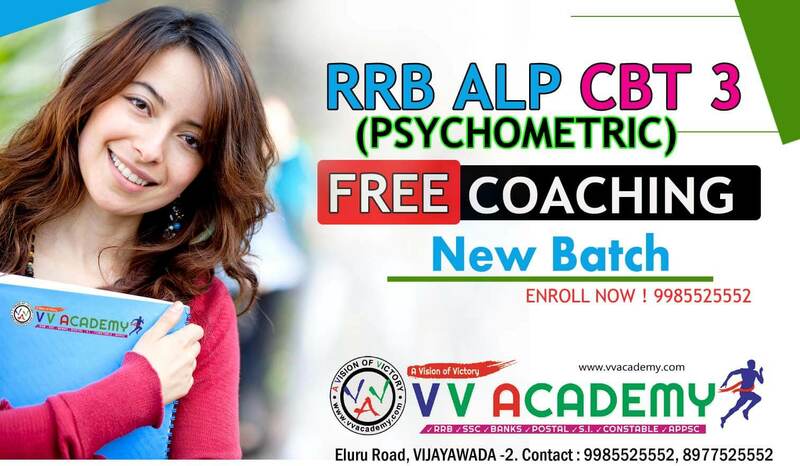 V V Academy RRB Technical Coaching Center – Vijayawada : V V Academy RRB Technical Coaching Center was situated at Vijayawada. It provides coaching for RRB Asst Loco Pilot. Staff are classified into gazetted (Group A and B) and non-gazetted (Group C and D) employees. 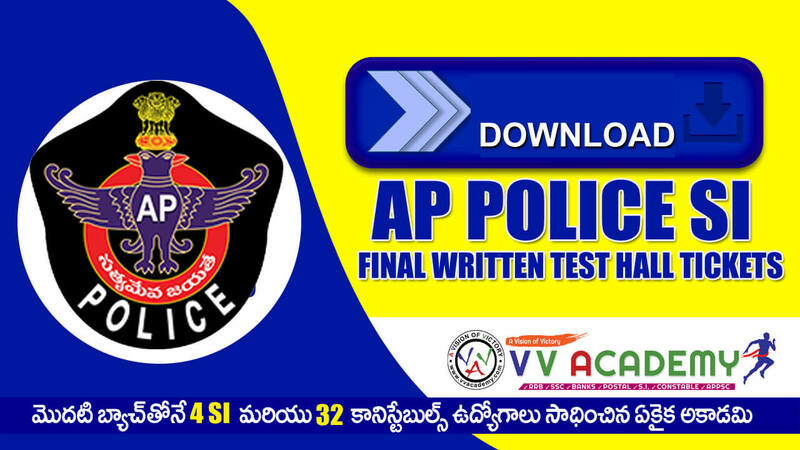 The recruitment of Group A gazetted employees is carried out by the Union Public Service Commission through exams conducted by it. The recruitment to Group ‘C’ and ‘D’ employees on the Indian Railways is done through 19 Railway Recruitment Boards which are controlled by the Railway Recruitment Control Board (RRCB). The training of all cadres is entrusted and shared between six centralised training institutes. (c) By appointment of candidates initially recruited as Special Class Apprentices on the results of the examination conducted by U.P.S.C. in accordance with the rules for recruitment to Indian Railway Service of Mechanical Engineers. Railway Group C Jobs Recruitment: Railway issued employment notification for these posts. There are both Technical and Non-technical jobs in Group c posts. The Railway Recruitment Control Board recruits Group C posts both technical and non technical by its 21 Railway Recruitment Boards (RRBs) across all zones in Indian Railways. Non Technical Posts: There are two types of Non Technical Popular Category posts. They are Graduate Level and Under Graduate Level. Some of the Non-Technical posts are Commercial Apprentice, Traffic Apprentice (TA), Assistant Station Masters (ASM), Goods Guard, Senior Clerks, Reservation Clerk, AccountsAssistant, Trains Clerks, Clerk Typist, Ticket Collectors, Commercial Clerk, Ticket Examiner (TE) and various others. Technical Posts: Some of the Technical posts are Technical engineers in Signal, Telecommunication, Civil, Mechanical, Electrical and others. Railway Group D Jobs Recruitment: The Railway Recruitment Cell (RRC) recruits various Group D posts in Indian Railway at the Divisional level. These Railway Group D jobs include Trackman, peon, tracker, gunman, Safaiwala, Points man, Gate man, Porter and various other posts. (iii) by transfer of suitable staff, if necessary, from other Government offices. Direct recruitment to Railway Services, Group C are made through Railway Recruitment Board for different Zonal Railways/Production Units. In all, there are 19 RRBs, which cater to the respective zonal staffing requirements. Based on staff requirements, Employment Notifications are released in Employment News ( A publication of the Government of India) and Indicative advertisements in other News Papers . There are generally two Notifications in a year by each RRB. 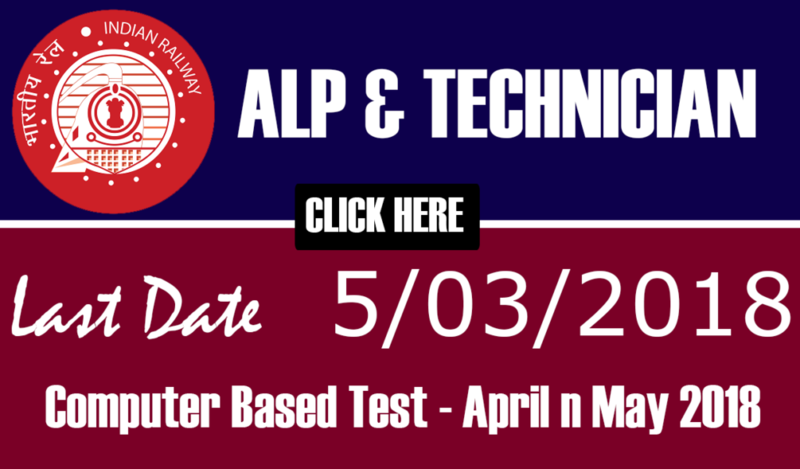 Check Indian Railway Eligibility Criteria for all Technical & Non-technical cadres!!! Indian Railway stands for Railway Control Board (RCB) which conducts various examinations every year to fill up various Positions for railway recruitment. 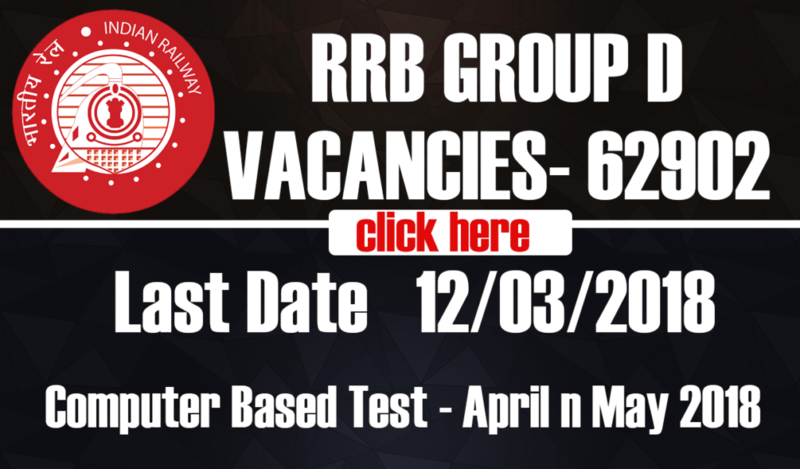 Candidates, if you are going to apply for any RRB Exam, first of all you should know about the RRB Exam Eligibility Criteria. So, we are going to provide Indian Railway Eligibility Criteria on this webpage. Do…Have a Look!!! Railway Recruitment Board is governed by the Government of India recognized in the year 1998. All those seekers who are going to appear for railway exam for the purpose to get railway jobs and also been seeking about the RRB Eligibility Criteria, they may fetch all the complete details from this page which is provided by the team members of vvacademy.com You may get the Railway Qualification Criteria, RRB Age Limit and so on….from the below segment. Candidates may get the complete details regarding Indian Railway Eligibility Criteria 2017 through this page.